Have the largest ears relative to body size of any canid. 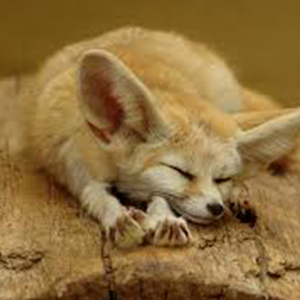 The ears reach lengths of up to six inches and act as radiators, allowing the fox to regulate its body temperature in the hot dessert. These foxes are nocturnal. They hide from heat in sand burrows during the day.